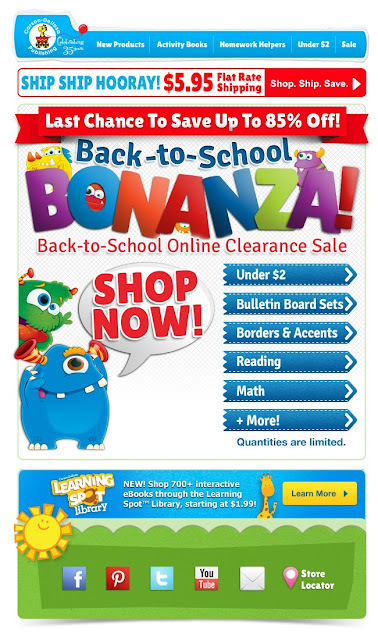 Get All the Educational Materials You Need This School Year from Carson-Dellosa! A new school year has begun and with it comes all the craziness of another school year! If you are educating at home either with preschool or older children or just like to teach your children a little on the side, then let Carson-Dellosa help you get ready for the school year and eliminate some stress! Carson-Dellosa proudly provides teachers, parents, and children around the world with the best possible educational materials including interactive digital resources; supplemental books for math, science, social studies, language arts, and early childhood; classroom decoratives; pocket charts; and games and manipulatives for prekindergarten through the eighth grade. I received some great educational items that will help me teach my preschooler at home this year and for educating my children for years to come! I love that my son will not only learn his uppercase and lowercase letters with this Tactile Letters Kit but he also learns about texture. These are also great if we are traveling for keeping my son entertained, learning and practicing his letters! I love that they include both uppercase and lowercase because they are important at my son's age to learn together! He can match them or practice them separately! Hear & Go Seek Rhyming Word Sounds is the fun, easy way for young learners to develop important early literacy and listening skills! Players listen carefully to each word that is spoken on the CD to determine if it rhymes with a word that is pictured on their game card. Whenever spoken words correctly rhyme with the picture words, the players place game pieces on the matching pictures. The first player to fill his or her game board wins! The game features photographic pictures that appeal to young learners, while teaching phonemic awareness and vocabulary recognition of rhyming words. It also improves observation and short-term memory, while helping children develop listening, visual discrimination, and critical thinking skills. My son LOVES rhyming words and rhyming words with each other! So I knew he would love this Hear & Go Seek Rhyming Word Sounds! It can accommodate up to 12 players or it also be played just by a single player to reinforce visual and auditory vocabulary recognition. It is a perfect game for the classroom as a positive reward or an expansion of a unit theme, and it is ideal to play at home as well. Plus, each game includes an instruction sheet with suggestions for additional vocabulary-building activities. Play Hear & Go Seek and discover the sounds of learning fun! One skill my son hasn't gotten a lot of practice with and I plan on focusing on this school year is cutting! This I Can Cut book is perfect for getting him started! Big Skills for Little Hands: I Can Cut! will help children build hand strength and dexterity by teaching them to use scissors to cut lines, curves, and shapes. Children will create puppets, play games, and make puzzles while learning an essential skill for school success! My son ABSOLUTELY LOVES puzzles! He does at least one 50 piece Giant Floor puzzle a day and loves it every time! So I knew he would love this Alphabet Train puzzle and I loved that he would be learning at the same time! Kids will love learning their ABCs with this 8-foot-long, giant floor puzzle featuring 26 extra-thick jumbo pieces tough enough for little hands. While assembling, children will develop and strengthen their visual discrimination, eye-hand coordination, motor skills, imagination, and storytelling abilities. Appropriate for children ages 3+. So make sure this school year you are getting everything you need to help your children learn, thrive and grow and let Carson-Dellosa help you get there and eliminate the stress! Buy It: You can purchase all of these great educational materials above (PLUS SO MUCH MORE!) from the Carson-Dellosa website.